Quebec meets Portugal during Poutine Week, which will take place from February 1 to 7. 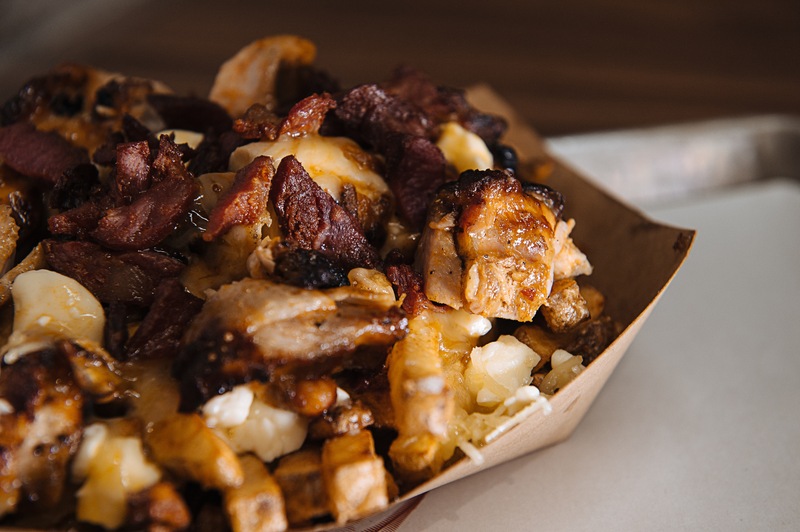 The principle is simple: try out participating restaurants with the aim of finding the best poutine in Montreal! For this 5th edition, two of our restaurants will be taking part in the competition. Oh yes! In fact, our latest restaurant, CAMPO, is joining in! For just $14, our luxury fast-food restaurant will present its grilled chicken poutine made with homemade fries, fresh cheese curds, Portuguese São Jorge cheese, homemade chicken sauce, and chouriço chips. Yum! New this year: the Ferreira group suggests our Petit F wine, offered at a reduced price, to accompany your poutine! At Campo, a glass of Petit F wine on tap will be just $3 with an order of poutine during Poutine Week. 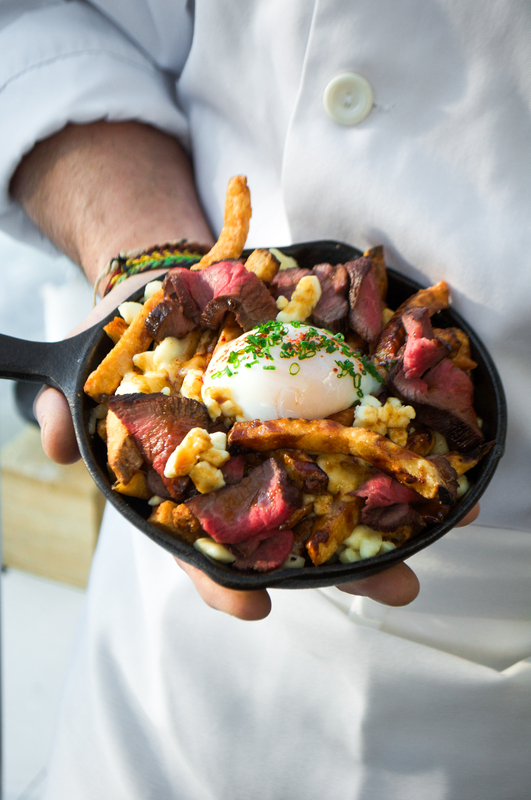 Taverne F will also participate for a third consecutive year with its bitoque poutine. This will be made of beef sirloin seared in thyme- and garlic-infused olive oil, a slow-cooked egg (you read it right! ), a white wine sauce, homemade fries, São Jorge cheese, and fresh cheese curds. Mouthwatering! A glass of F wine will be available for just $7 at Taverne F!